Regiment/Service:London Regiment (London Scottish) 14th Bn. 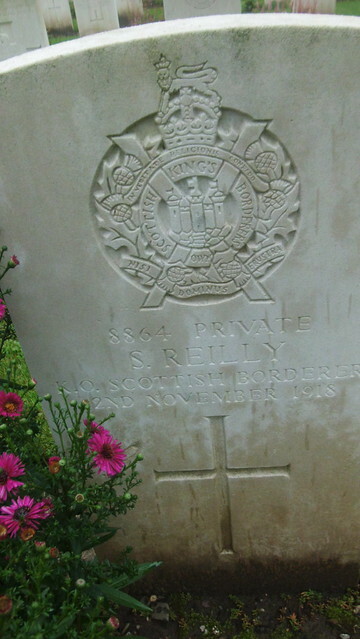 Additional Information:Son of John and Mary Trill, of Portsmouth; husband of Mary Trill, of 12, Orwell Place, Edinburgh. Regiment/Service:Royal Army Service Corps 1st Auxiliary Bus Coy. M.T. Additional Information:Son of Walter and Elizabeth Edgar, of Edinburgh; husband of Agnes Burn Edgar, of Peel's Buildings, Davidson's Mains, Midlothian. Regiment/Service:Royal Field Artillery 41st Bty. 42nd Bde. Additional Information:Eldest son of the late William Buckle and Elizabeth Ledgerwood, his wife, of New Jersey, U.S.A. husband of Elizabeth Buckle, of 56, Albert St., Edinburgh. Additional Information:Son of Nannie Hester Middleton, of 38, Inverleith Place, Edinburgh, and the late George Hodgson Middleton. Engaged in engineering works in Canada. Enlisted in Lord Strathcona's Horse at commencement of war. Additional Information:Son of Mrs. Ina Shanks, of Aberdeen. Additional Information:Son of The Rev. A. Spence, D.D., of Aberdeen; husband of Barbara Cowan Spence, of Eglinton Place, Dollar, Clackmannanshire. Regiment/Service:Royal Field Artillery 3rd Bde. Additional Information:Husband of Martha McLean Donnelly, of 21, Glamis St., Dundee. Additional Information:Eldest son of the late Col. Cuninghame and Mrs. Cuninghame, of Belmont, Ayr; husband of Doreen Cuninghame, of Ewen House, Cirencester. Regiment/Service:Royal Air Force 206th Sqdn. Additional Information:Son of William and Rita Gibbs, of Agden, Cheshire; husband of Agnes G. J. Gibbs, of "Douglas Hope," 10, Craigie Rd., Ayr. Additional Information:Son of William Goudie Cree and Margaret Ramsay Cree; husband of Mary Cree, of Kilmarnock, Ayrshire. Regiment/Service:Royal Army Service Corps 624 Motor Boat Coy. Additional Information:Son of Robert and Elizabeth Burnfield Blyth, of Perth; husband of Annie Scot Cuthil Middleton Blyth, of Perth. Bn. Grave Reference: VIII. F. 11. Cemetery:COLOGNE SOUTHERN CEMETERY.